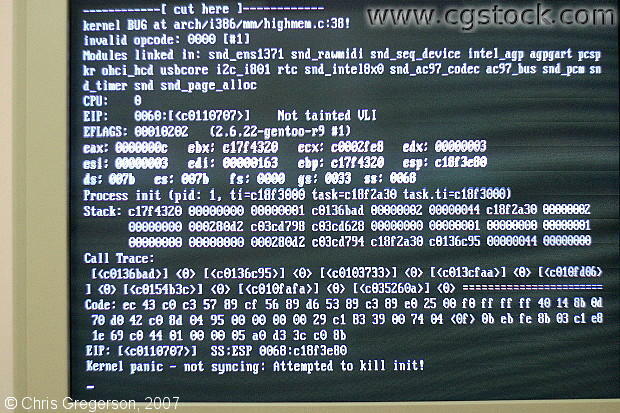 This was happening on a linux 2.6 series kernel, Gentoo, just after udev calls /sbin/udevtrigger (coldplug). The error message says "kernel bug at arch/i386/mm/highmem.c:38! ", but various other errors occurred with each boot.